In 1978 Dr. Robert Gross and his wife Corrine planted Pinot Noir and Chardonnay on the slopes of Cooper Mountain, west of Portland. They were attracted to the ideal of getting back to the land and raising their three kids where Corinne grew up, so they settled in the Willamette Valley to do just that. In 1987, the family converted an old horse barn on the property to start their own label, becoming early adopters to organic and biodynamic farming practices in Oregon winemaking by the early 1990’s. After expanding to four vineyards on 125 acres, the family business is now the charge of founder Bob Gross and daughter Barbara Gross, who grew up with the vines on their first vineyard site. Our land is our life and our life is our wine. We love what we do every day. In an evolving business and a quickly growing industry, our roots in the Willamette Valley is what grounds us. We feel privileged to be a part of this landscape and to cultivate place. Our role as stewards of our 125 acres is a vital part of our process. 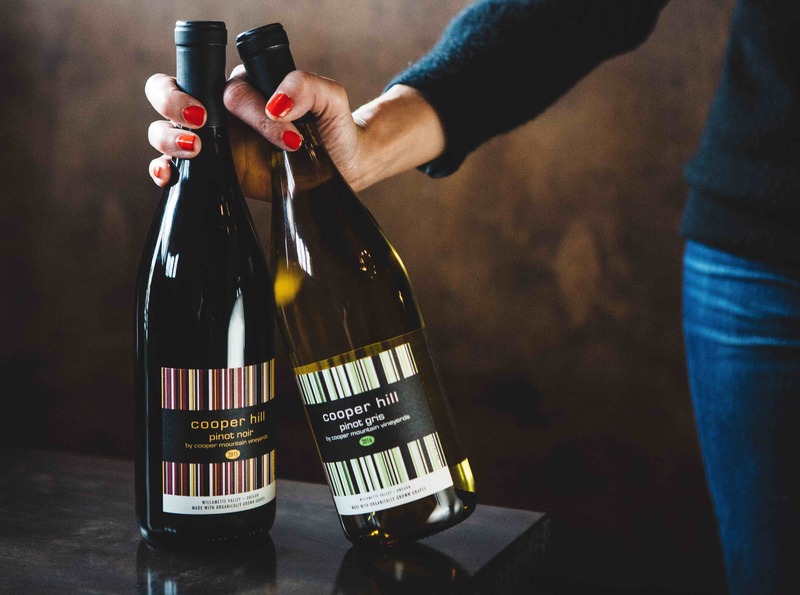 Cooper Mountain has always been a trailblazer in sustainable growing, receiving organic certification from Oregon Tilth in 1995. Our commitment to these practices is an important part of our identity and that’s why 100% of our wines are organically grown. We believe in Biodynamic farming practices. We’ve been farming that way since the early 90’s and received our certification from Demeter in 1999. Every bottle of wine we make today is made from Biodynamic grapes. You can read more about our Biodynamics and our Biodynamic farming philosophy HERE. The grapes that grow in our North Willamette Valley vineyards are an expression of this special place. Our roots are in Pinot Noir and Chardonnay, but over the years our selections have expanded to include smaller produced varietals. Our dedication to organic, biodynamic wines shows our deep connection to the soil and our desire to rejuvenate the land. Our four estate vineyards are Old Vines (planted 1978) Meadowlark (planted 1982), Johnson School (planted 1999) and Farmington (planted 1995). All of our vineyards have been farmed certified organic and biodynamic since 1999.